Are more guns on the streets the only way forward for a safer future? They are perfectly legal, do not require any type of permit and, best of all, they are completely safe! The question here is will they work? The answer is YES, definitely YES! But you have to own a good quality product and you have to know what you are doing. That is way, after scouring through dozens of offers on the market, our top choices not only come with our personal quality guarantee, but also have their own training videos that will teach you just how to get the best tactical advantage by using their products. 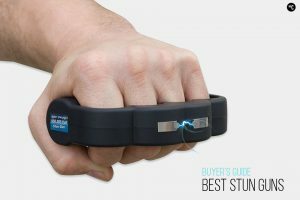 This is considered by us the best stun gun on the market! Not knowing who you are, what socio-economical environment you have to exist in, the best stun gun we can suggest is the SABRE Ergonomic Stun Gun with LED Flashlight. It is the most painful stun gun on the market, with a uC rating of 1,480 which places it very high in the “intolerable pain” category. We are going to give you more details about uC ratings, pain categories, further down in the article, and we are going to have in depth reviews for each of our top 3 products, so make sure to check those out if you want a more detailed analysis. For the time being, and if you want to make a quick decision, you can rely on the fact that the SABRE Ergonomic Stun Gun is not only a way to inflict intolerable pain on an attacker. It also has strong flash light that can in certain conditions blind an opponent so that you can run away without having to shock him or her, or, on the contrary, it can give you that window of opportunity where you can stun him to the ground and make your escape. As we have mentioned before, what the best stun gun may be relies heavily on your individual needs. However stun guns are defensive weapons and sometimes the best defense is to simply not put yourself in the path of danger. That is why the best stun gun you could buy also comes with a powerful LED flash light. We are talking about another SABRE product, the Tactical Stun Gun with LED Flashlight. The point here is that even the most aggressive attacker will feel some trepidation right before the attack and by taking away his ability to surprise you, he may hesitate just long enough for you to pass safely. Also, knowing where an attack is coming from allows you to react in a much more decisive manner to it. 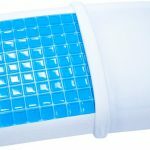 Having said that though, it is still well worth pointing out that the Tactical Stun Gun delivers 1.139 uC, well in to the “intolerable pain” category, so even if an attacker would be so bold as to move towards you, he will get a very unpleasant surprise from your innocent looking flashlight. The sad truth is that certification and official tests cost money and that cost is reflected in the price of a product. However, having an uncertified stun gun is better than having none, and while we really think you should choose one of the 2 products we have already discussed, if you are working on a tight budget, there is a third option that we believe is worth considering. It is the VIPERTEK VTS-989 Heavy Duty Stun Gun. We are going to go into a more detailed review further down in the article but for now we need only point out that, while they could not afford to get a pain rating from The National Institute for Justice, their product is certified to deliver 230 million volts, making it the most powerful device as measured in volts delivered to an attacker. So please, do read on for further details about what makes a good stun gun, and why you should have one, but if you think you have heard enough, you can already choose anyone of these 3 stun guns that we personally hand picked as the very best on the market today. The brain commands virtually everything your body does through electrical signals relayed though nerve lines stretched throughout the body. 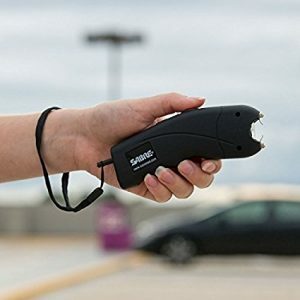 A stun gun delivers a massive charge of electricity that disrupts those communications and renders an attacker immobile, in an almost identical manner to a policeman firing a bolt of high electricity into an assailant’s car to stop it dead in its tracks. However, the brain reconnects to the essential functions of the body, such as breathing and the heart beating, almost instantly, so no permanent damage is done. Why should you worry about that? Because the main reason for choosing a stun gun over a regular gun is the fact that the former is so much safer. Granted there are bad people out there and you may want to inflict some more permanent damage on some attackers, but the thing that you have to remember is that a weapon represents the permanent possibility that an accident may happen. And even if we granted the fact that you properly lock away your weapon and take all the best safety precautions, there is no way anyone can guarantee that in a span of 18 years, your minor son will not find a way to get to that most precious toy. Finally, even if we granted that a 14 year old with an inquisitive mind cannot take apart even the safest of safes, most often than not your attackers will be better than you at handling weapons and when you are staring down the barrel of your own gun, how much would you pay to know there are only duds or rubber bullets in there? Of course, the problem could be posed from a totally different perspective. With criminal rates being at an all time low, and in situations where you live in a good part of the city, and, finally, provided you take all the necessary precautions as to not put yourself in a potentially dangerous situation, why would you need any type of weapon. The reason is because even if crime is at an all time low, there is a possibility that you will be one of the unlucky few who still make up our criminal statistics. It still takes a police unit an average of 30 minutes to respond to a call, and 30 minutes can be more than a lifetime if you are faced with a maniac meaning to do you harm. So, even though it is very unlikely that it would happen, a stun gun is cheap enough and safe enough that any responsible adult should have one on hand. The reason why more people, in particular more people that are genuinely concerned with safety, do not make the switch to stun guns is their unreliability. The problem here is that you have two types of unreliability: that of the user and that of the stun gun itself. A stun gun needs to make contact with the target’s skin in a significant manner to deliver its jolt of electricity. So, in most of the cases you will hear about, particularly those YouTube videos showing cops not being able to subdue a felon with stun guns, the problem are not the guns but the way in which they are being used. You can be sure of that because the police have invested a lot of money in buying some of the best stun guns on the market. However, they do not have the resources to train their officers as well as they should be. That is why they seem to do such a bad job with stun guns and, in fact, why many times you will see that they are equally bad with when using a gun. So the most important thing to remember that you are the most important thing that makes a stun gun great. Take the time to do the training! We have reviewed several stun guns that provide you with training tutorials and you can build on those and arrange meetings with private instructors. The good news is that it is much, much easier to learn how to effectively use a stun gun than it is with a real gun. So take the time to learn how to use your stun gun and, when the time comes, you will see what a formidable weapon it can be. The second thing that makes a good stun gun is the quality of the workmanship and of the components that went into making it. For that reason we have chosen stun guns that have some type of reliable of certification. Obtaining the certifications themselves can be expensive and they certainly increase the value of a product, which is why our choices are not the cheapest you could make. The issue is that a stun gun is basically a high capacity battery connected to a set of high conductivity wires. As anyone who has ever owned a mobile phone will know, batteries are prone to losing power even if they are not in use, and they also can go dead if they are not kept in constant use. The other important components of the stun gun are the wires and the grappling wires, and the problem there is that materials that are good conductors are usually fragile and prone to rusting. So a manufacturer needs to make sure that he is using high quality component that will last for several years, and you need to make sure that you are not wasting your money on a stun gun that will give out when you need it most. Having said all that, you will understand why our favorite choice on the market today is the SABRE Ergonomic Stun Gun with LED Flash Light. For one, it comes with those important training videos that will help you learn the best strategies to get the most out of your stun gun. We already talked about how important it is for the gun to make contact with your attacker’s skin. Getting to that point may not be as easy as you imagine so do take the time to watch the videos and try to practice the tactics and moves several times a month. However, all the videos and training in the world will not help if you do not have the correct weapon in your hand. 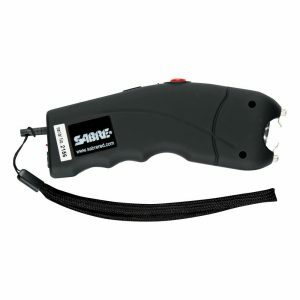 The SABRE Ergonomic Stun Gun is precisely that weapon because it delivers 1.480 uC or microCoulombs. You may have noticed that most guns talk about how much voltage they can deliver but that tells you very little about the level of pain you are inflicting on an attacker. Volts measure the strength of the flow of electricity while coulombs, and, through extension microCoulombs measure the number of electrons. To put that into perspective, the water being squirted out of a good water gun may have the same strength as that of Niagara Falls, when measured in just much pressure it exerts per 1 inch of your skin, but it is the volume of water that Niagara Falls dumps on you that will pulverize you, while the water gun will barely help keep you cool. The volts in this case would be pressure of the water while the volume would be the microCoulombs. So, if you need to know just how much electricity your are pushing through your opponent’s nervous and muscle system, you really need to know about those microCoulombs. The National Institute for Justice has done tests demonstrating that .5 uC will cause pain, and 1 uC will cause intolerable pain. And now you can get an actual image of the power that SABRE is putting in your hand. The SABRE stun gun does not need any type of batteries. It comes with its own rechargeable battery and charging cable. 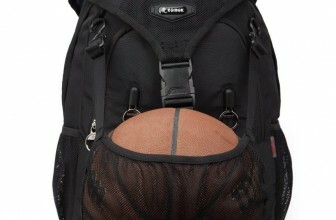 It has a safety switch that is very easy to reach in case of an emergency but virtually impossible to trip by mistake. However, and this is the good news about stun guns in general, but about this in particular: even if it is in perfect contact with a victim, and the trigger is pressed until the battery runs out, that person will still survive the discharge. So, unlike with a gun, your family will be safe from any type of accident. And as a weapon, the SABRE Ergonomic Stun Gun is almost impossible to be pried from your hands, even by a person with martial arts skills, because it is strapped to your hand. You do need how to slip that strap over your hand while you are getting the stun gun out of your pocket though, so make sure to go over the training videos. The obvious problem with “the best” product in any category is that it is inevitably going to be the most or one of the most expensive products in that category as well. Also, in order for a product to be the best it needs to be lousy at other jobs. Case in point, the Ergonomic Stun Gun we have been talking about has an LED flashlight, but it is just good enough to provide a flash in case of a fight. 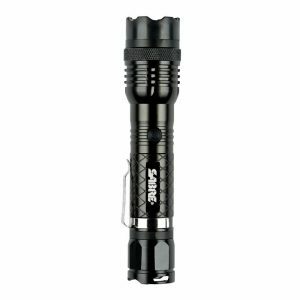 The SABRE Tactical Stun Gun however, comes with a much stronger Flash Light. It is also cheaper and can be used as a fighting baton if it comes to that. You may ask why it was not our favorite choice, or why the company did not make it its flagship product, and we are going to get to that in time. For now let’s take a closer look at some of its better features. 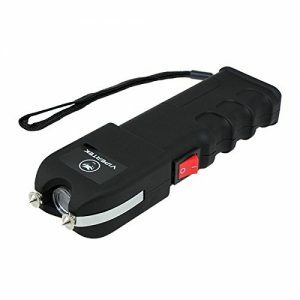 For one, the Tactical Stun Gun can very easily double as a flashlight. That means you are more likely to have it with you in situations where you may not think of carrying a stun gun. Also, there are many loved ones who would not want to carry a stun gun despite your best intention because they may not have an accurate understanding of the threat level in a given situation. 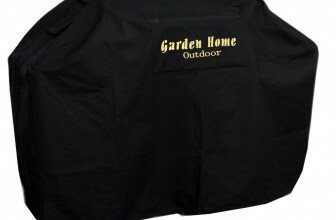 However, they may be willing to carry a flash light with them just so as to have better visibility. The flashlight provides a second advantage: 80% of attackers will feel uncomfortable coming at you in the light. They prefer to attack in dark places where the chances that someone else might see and later recognize them are minimal. By having a light with you at all times you will discourage at least some of the potential attacks against you. The problem most specialists will have with the Tactical Stun Gun is that it is not perfectly designed to be held. It is somewhat easier to be forced from your hand than the ergonomic stun gun. 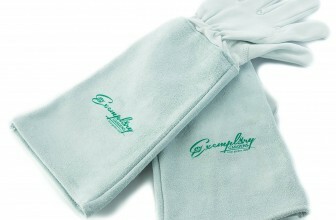 However, it too has a wrist strap so it should be relatively safe to hold it in combat. There is also the fact that you can use it to bash your opponent. The rechargeable battery is not so heavy as to make it impractical but it does offers enough hitting power that you can take down an opponent just by hitting him. The biggest disadvantage the SABRE Tactical Stun Gun has is that it delivers 1.139 uC, whereas the Ergonomic one delivers 1.5 uC. Still, if you will remember just 1 uC delivers intolerable pain so the Tactical Stun Gun is more than strong enough to disable any attacker. The difference, as we see it between the Tactical and the Ergonomic SABREs is who will be using them. If you are concern with your own protection and will be carrying it with you all the time, go with the stronger Ergonomic version. If this is a gift to a daughter who may be “too cool” to carry a stun gun with her when she goes jogging at 6 AM, than get her the Tactical Stun Gun since she can think of it as a flashlight and might have it on her more often. As you probably can already tell, our dearest recommendations would be anyone of the first 2 products that we have talked about. Still, we do realize that that those products are somewhat on the expensive side, so there is a stun gun that we would encourage those working on a budget to get. It is the VIPERTEK VTS-989. It has several disadvantages that cannot be glanced over, but, as always, we should start with the things that do speak well it its behalf. For one, the VIPERTEK VTS-989 delivers 230 million volts in one hit, more than any other volt measured stun gun on the market. The manufacturer obviously did not afford to get a microCoulumbs certification from The National Institute for Justice, but that is just one of the things that have allowed them to keep the price down. However, there are plenty of videos out there showing people trying the VIPERTEK stun guns on their own and the results were so impressive that we abandoned the desire to test this thing ourselves. The fact is that VIPERTEK obviously tried their best to cut as many costs out of the manufacturing process as they could while still ending up with a stun gun that delivers massive amounts of pain to an attacker. So keep in mind the 230 million volts of electricity that can be delivered, while we talk about some of the downsides. For one, the shape is not ergonomic and the wrist strap is flimsy enough that an attacker could easily rip it while pulling the stun gun out of your hands. Combine that with the fact that VIPERTEK has not taken the time to create videos teaching you how to get the most out of their device and you will start to understand why this is not one of our favorites. However, the price is so good, and, having a stun gun when you need it is so important that we thought we would feature this cheaper alternative anyway. Of course there are some interesting features like the fact that the top of the stun gun is protected by shock plates. Any attacker with martial arts training will attempt to grab the bottom of the stun gun, but there will certainly be situations where those shock plates will come in use. They deliver a high voltage shock when touched so an unwary attacker will probably get shocked by those just as well as by the electrodes. The other good thing that has to be said about the VIPERTEK VTS-989 Stun Gun is it comes with ultra sharp electrodes so they should be able to penetrate even a leather jacket to make perfect contact with the skin. So, taking the good with the bad, we would say that the VIPERTEK VTS-989 is really worth the money but that, perhaps, you should spend some time investigating some of the general training videos available on YouTube so that you will be able to take advantage of this formidable weapon when and if the time comes. There are two other types of self defense weapons we have not discussed so far: pepper sprays and knives. One has the advantage of range, the other will do some damage no matter what your attacker is wearing. The obvious advantage of a pepper spray is that you do not need to let an attacker come within our personal space to use it. However, with a pepper spray you need to make sure that you can easily aim right in the face of your attacker. That may not be as easy as it sounds, so make sure to buy a few sprays just for practice. The other problem is that a strong gust of wind may blow the pepper away from the attacker or blow it back into your face. A knife will definitely force you to confront your attacker directly and he may have a knife of his own. Besides that, even if you manage to land a blow with a knife, it will not be as painful as a stun gun, and it may not be as effective. And that is the biggest problem of using a knife: if it is effective, meaning it does enough damage to stop an attack, it may actually end up killing the attacker. That may be all well and good if we are talking about someone who would have been willing to do you physical bodily harm, but there are plenty of people that would willingly give up their wallet rather than have another human being’s murder on their conscience. So, while both knives and pepper sprays have been shown to work quite effectively, we would still go with the stun gun as the only plausible alternative to a regular gun. While there are many stun guns on the market, and some of them are even cheaper than our “budget” solution, you need to remember that your life or that of a loved one may depend on the proper function of this weapon. So, make sure to buy a product that you know you can depend on, and, it bears repeating, get the training you need to make proper use of your stun gun, whatever your choice may be.